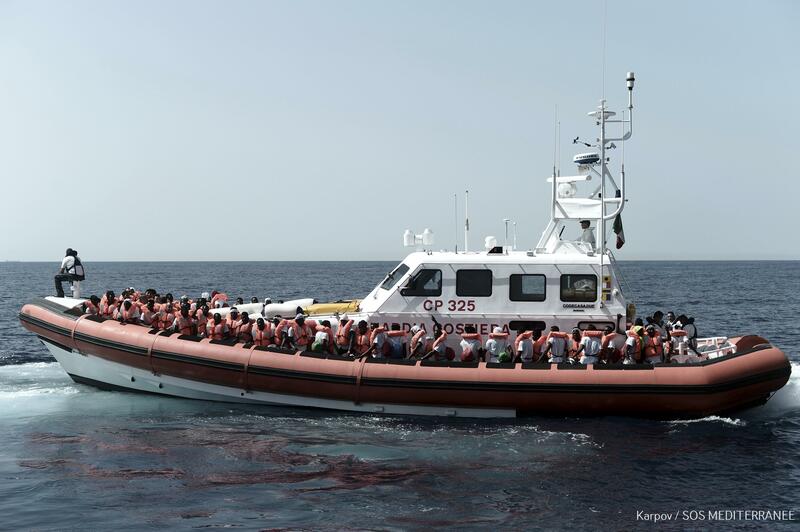 Sat., June 16, 2018, 11:51 a.m.
BARCELONA, Spain – Spain’s maritime rescue service said it has saved 933 people and recovered four bodies from dozens of migrant boats attempting the perilous crossing of the Mediterranean Sea over the past two days. The service said Saturday that it pulled the migrants from a total of 68 different smuggling boats that its rescue craft intercepted throughout Friday and Saturday morning after they departed from African shores. The spike in arrivals comes as Spain prepares to receive another 630 migrants after Italy and Malta refused to let the aid boat Aquarius land in their ports last Saturday. The Aquarius and two Italian ships carrying the migrants are expected to arrive at Spain’s eastern port of Valencia on Sunday. The migrants will be met by emergency workers, including health officials and psychologists, at the city’s marina. Spanish authorities said they will examine the migrants case-by-case to see if they qualify for asylum according to the country’s regulations. The boatload of migrants that was forced to spend days crossing the western Mediterranean includes 123 unaccompanied minors, 11 children and as many as seven pregnant women, according to Valencia’s regional authorities. The statement said Spanish Prime Minister Pedro Sanchez “appreciated the cooperation of (French) President (Emmanuel) Macron and believes this is the framework of cooperation that Europe should use to respond” to immigration on the continent. The refusal by Italy and Malta to allow the rescue boat Aquarius to enter their ports has created a row between European Union members over how to handle immigration. Spain’s new Socialist government has taken up the cause of the migrants’ plight to demonstrate its commitment to protecting human rights and respecting international law. Fleeing violent conflicts or extreme poverty, thousands of migrants attempt the dangerous journey into Europe each year in smugglers’ dinghies. At least 792 migrants have died crossing the Mediterranean so far this year, according to the United Nations. Through the first five months of 2018, a total of 35,455 migrants reached European shores, with 11,792 of them arriving in Spain. Published: June 16, 2018, 11:51 a.m.